Toyota Motor Company was founded by Kiichiro Toyoda in 1937 in Toyota, Aichi, Japan. As a global automotive company, it is currently the largest company in Japan based on market capitalization; it is worth twice as much as SoftBank, which is the second-largest company based on the same standard. You can find the Toyota application link below. Toyota, which started as an eight-person operation, now has more than 365,000 employees. The company has been operating in the United States for more than 50 years, and many jobs have been created since the company began in the U.S. The North American headquarters is located in New York City, New York. With all the Toyota dealership locations across the United States, there is bound to be one near you. Aside from dealerships, there are also production plants located in the United States, as well. The six major plants are located in Alabama, Kentucky, Indiana, Texas, Mississippi and West Virginia. The business’ manufacturing headquarters is in Erlanger, Kentucky. The business is constantly trying to improve its vehicles, and one of the ways it does this is by partnering with schools, research institutions and hospitals to create new safety technology for their vehicles. The company’s research center is located in Ann Arbor, Michigan. One of the goals of the company is to improve the lives of those who drive their vehicles. Toyota careers span the gamut all the way from corporate to entry-level jobs. Corporate job opportunities include positions in fields like purchasing, supply chain, marketing, finance, human resources, and accounting. Experience levels of these careers vary greatly, but most will require at least a college degree. Other jobs, like customer service, may only require a high school diploma. Dealership Toyota jobs may require any level of experience. Most won’t require extensive past experience, but the ones that do are generally managerial job options. Managerial employment opportunities include operations manager, store manager and assistant manager. Other positions include sales associate, mechanic, automotive technician, customer service representative and administrative assistant. To start working Toyota careers, you must be at least 18 years old. Most of the positions will require a high school diploma. You should also keep in mind that these dealerships are often open evening and weekend hours so customers can shop at convenient times. This means that you may be asked to work during those hours. While it isn’t unusual for companies to offer benefits, Toyota has a few great perks for its employees. Qualified employees will have access to healthcare coverage and 401(k) retirement plan options. Employees also receive paid time off and holiday leave. Vehicle discounts are also available for eligible associates. Other benefits include fitness center programs and tuition reimbursement help. Customer Service Representative – As customer service representatives, associates will need to be able to effectively communicate with customers, dealers and financial institutions. Customer service employees will handle concerns and requests, while trying to find a solution. Associates should be comfortable working on the computer and answering phones. Pay hovers between $9 and $10 an hour. Automotive Claims Specialist – Claims specialists need to be knowledgeable on vehicle service agreements and warranties. These employees will deal with claims made against the warranties. Generally, experience in automotive retail or service helps these employees with their daily tasks. Salary packages start with employees making $13 to $14 an hour. Manager – Responsibilities of the manager include supervising and assisting other associates. Managers need to be able to communicate with both customers and fellow employees to maximize customer satisfaction. Other duties include hiring and training new employees and taking care of payroll. If this job sounds right for you, fill out a Toyota application today. Warehouse Associate – Warehouse associates are responsible for getting automotive parts to the dealerships without products getting damaged. These employees need to be able to use heavy machinery and lift heavy objects. Warehouse associates also need to be able to work in a team. Pay is hourly and usually hovers between $14 and $15 an hour. Why are you interested in Toyota jobs? You will want to do some research on the companies you are applying for, and in doing so, you will discover why you are interested in the company. Share your reason with the hiring manager, as it will help them better understand why people want to work for the company. Do you have any experience in the automobile industry? While previous industry experience won’t be necessary for all positions, it will always be helpful in landing a job to have past experience. Share any relevant past work experience with the interviewer. What are your expectations of the position? Sometimes interviewers want to know what prospective employees expect out of the position they are applying for. Not only will this help them get to know what you think you are getting into, but it will also let them know what the job description is leading people to believe about the position. For those who wish to apply for jobs at Toyota, know that there are a couple different ways you can do so. First, you can apply in-person. To do so, you will need to go to a local dealership and request a free application. There is no printable application form. Just as there is no printable application for Toyota, there is no place to select download application form. 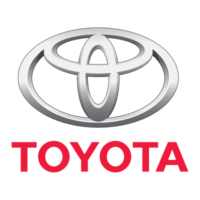 If you would rather apply online, you should go to the company website and browse the open Toyota jobs online. You can read a job description for each open position. The website will also walk you through how to apply for Toyota online. The Toyota job application online is quick and easy to fill out. Regardless of what type of application form you fill out, you should make sure that it is a direct application. You will also want to include a copy of your resume, which should outline your previous work experience. Once the company reviews all the applications, you may be asked to come in for an interview. You may also be asked to provide a cover letter with your online application. If you are asked to come in for an interview, you will want to show up prepared. To do so, you will need to do a little research on the company and be show up ready to ask a couple questions about the position. You should also be prepared to answer a few common interview questions, like the ones listed above.